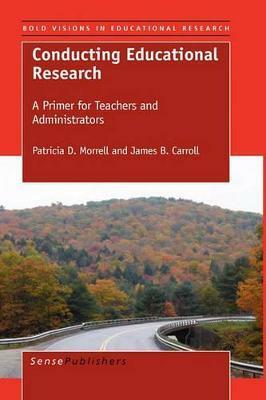 Conducting Educational Research: A Primer for Teachers and Administrators is designed to provide the step-wise, content-specific information masters students must possess to design, conduct, and disseminate a qualitative, quantitative or mixed methods classroom or school research study. The text will help school professionals to see both the value of being life-long critical consumers of educational research and the merit of using research in helping them to become teacher leaders and/or change agents in their own professional settings. Specifically, the text would provide master level students with: ●The background they need to see the importance of educational research in their daily professional lives ●Instruction in all aspects of a typical five-chapter research design (introduction/literature review/methodology/results/conclusion, discussion, implications) ●The tools needed to locate and critically review published educational research ●Instruction on common qualitative methodologies ●Instruction on the types of quantitative methodologies that master level candidates would be most likely to use ●Knowledge of the importance of being intelligent consumers of existing research ●Ways to engage the student in a reflection plan for the future.